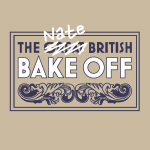 As I’ve been writing this blog, I’ve noticed just how inconsistent my baking is. 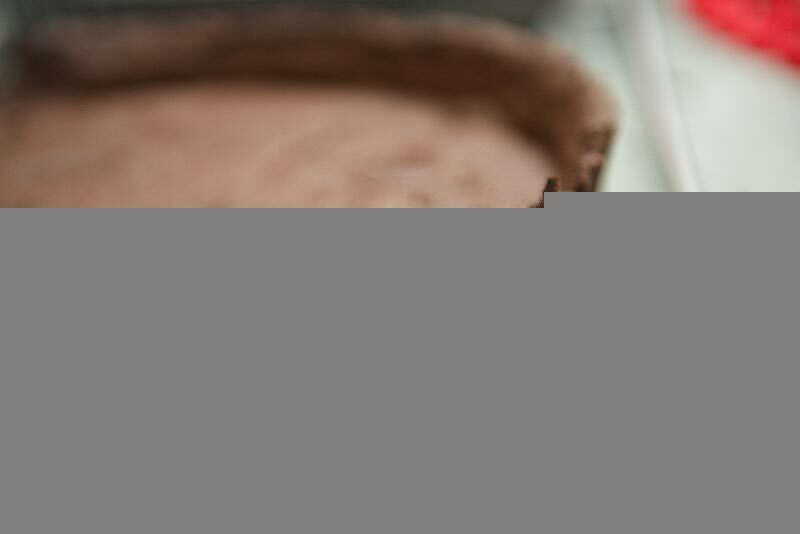 After the success of my DELICIOUS bakewell tart, I decided to try my hand at some new pastry, and what better way to test my pastry making skills than with a filthy american pie recipe!? 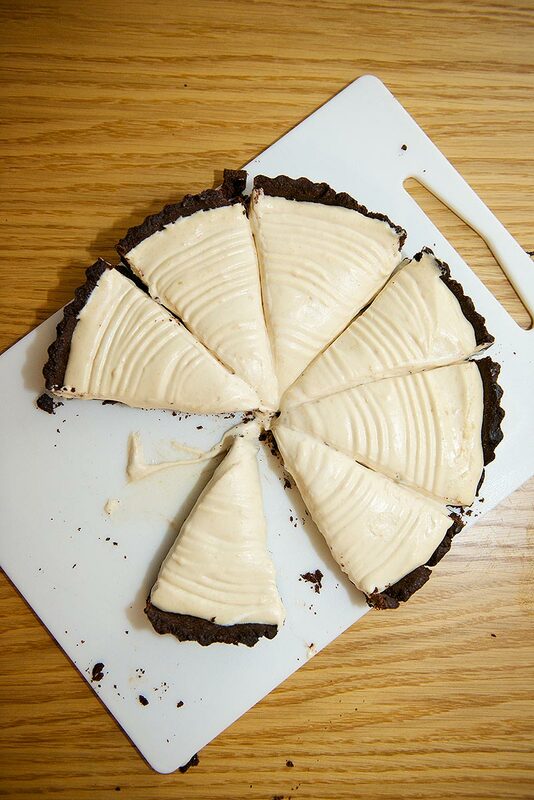 I found this pie recipe in one of the recipe books I got for my birthday yesterday, (thanks Loft and Liv) although it said to use a pre-made pastry case – something that is not an option! 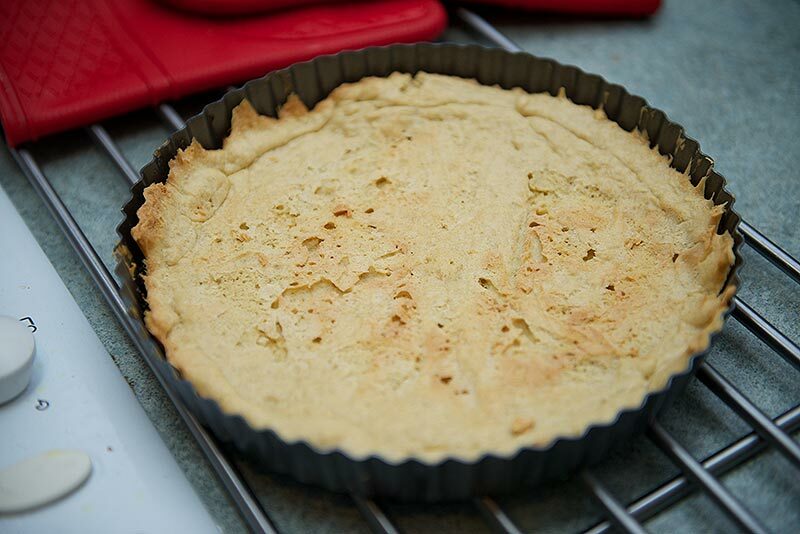 I started off with a sweet shortcrust pastry which I found in another book, but when I starting mixing the ingredients I realised I didn’t have enough flour. I tried substituting some of the plain flour with a few spoonfulls of self-raising flour, and adjusted the ratios of the other ingredients accordingly. And it was even worse once I’d blind-baked it. So I started again with a different pastry recipe (and all of the correct ingredients). 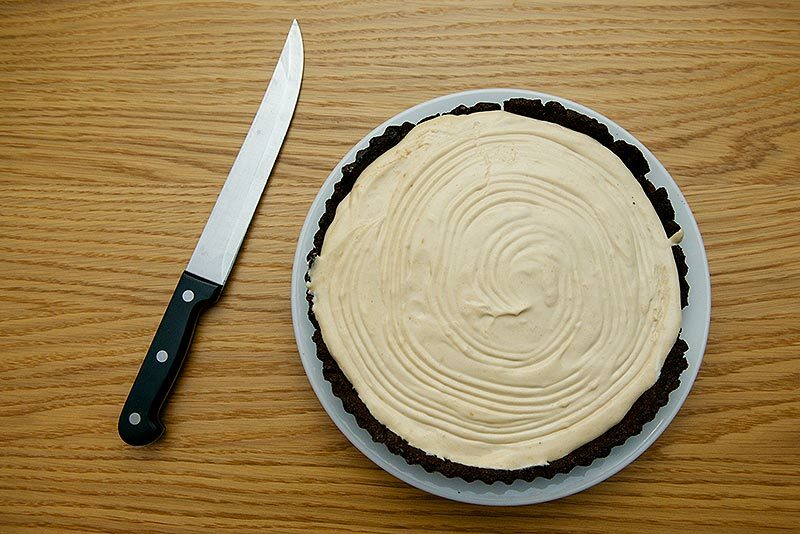 This time I opted for Lorraine Pascale’s Chocolate pastry from her Chocolate Banoffee Tart recipe. 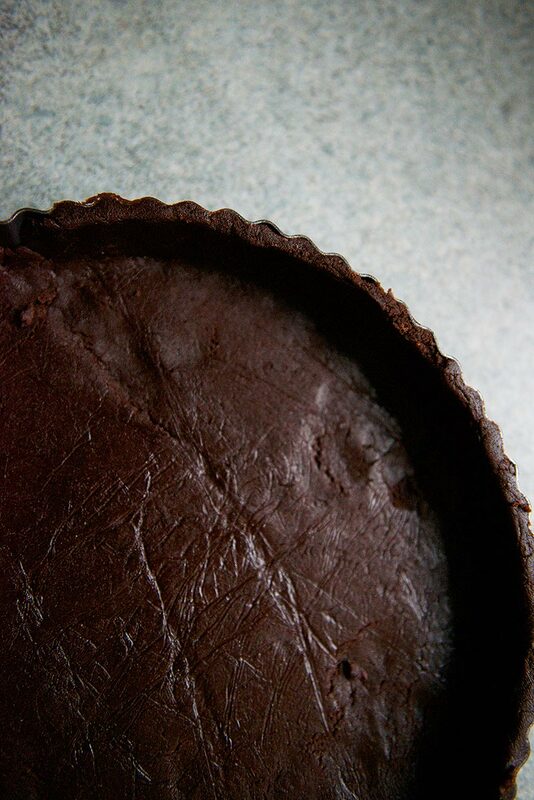 Both parts of this recipe are from Green & Black’s Ultimate Chocolate Recipes. To make the pastry, mix together the yolks, vanilla and sugar. Add the butter and mix until well combined. Add the flour, cocoa powder and salt. 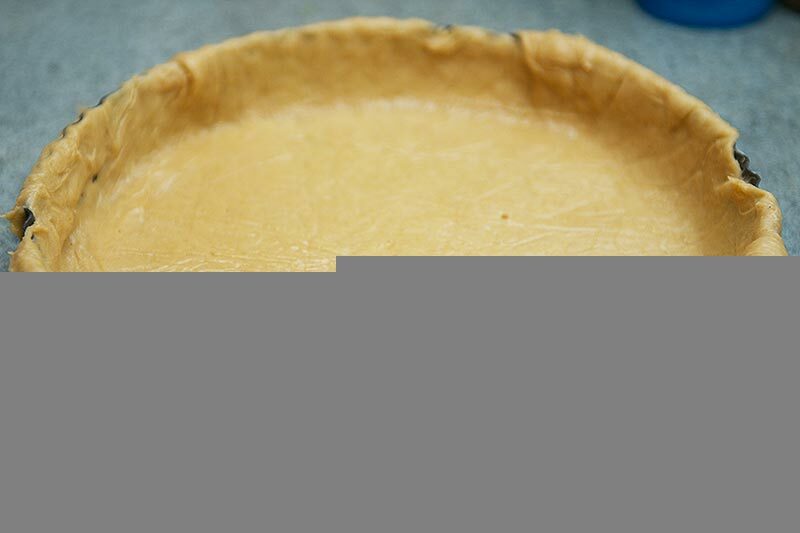 Once the flour is added, don’t over mix so the pastry will be crumble and tender when cooked. Scoop the pastry up with your hands and bring together to form a ball. Wrap it in clingfilm and refrigerate for 30 minutes. Preheat the fan-assisted oven to 180c. Remove the pastry from the fridge and roll it out to the thickness of a £1 coin. Place it in a flan ring and cool for a further 10 minutes. When the pastry has chilled, scrunch up some baking parchment and unscrunch it again and place it on top of the pastry. Line the case with baking beans and bake for 20 minutes. Remove the paper and beans and bake for a further 10 minutes. 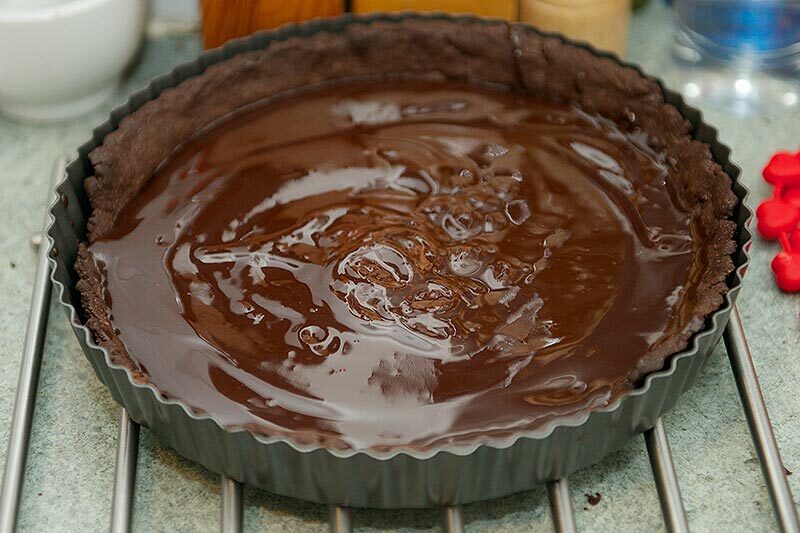 When the pastry is cooked, remove it from the tin and set aside to cool whilst you make the filling. 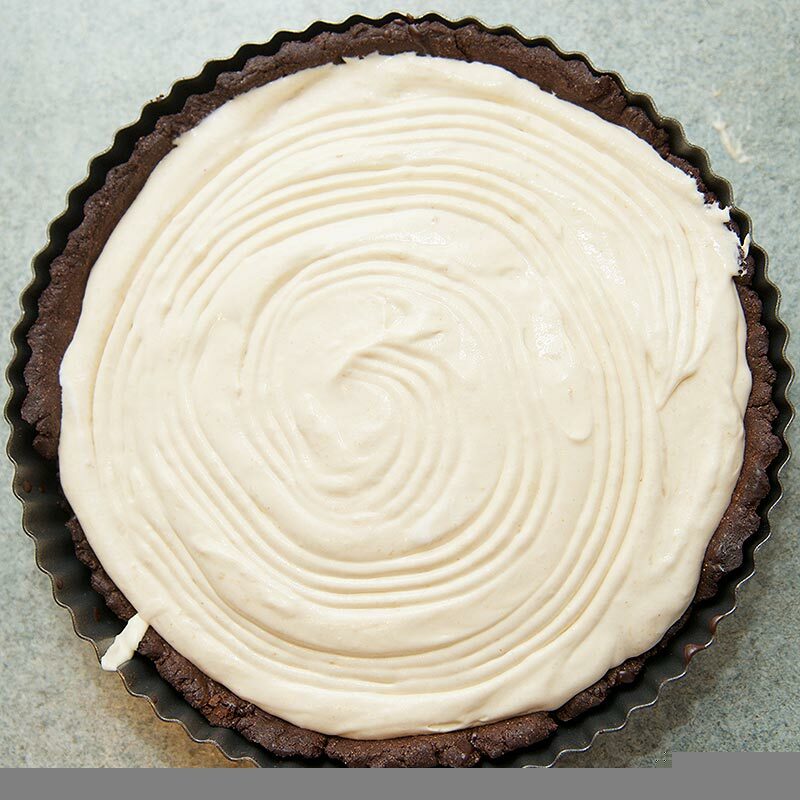 Melt the butter and chocolate together in a bowl over a saucepan of simmering water, then pour it in to the pastry and refrigerate while you make the rest of the filling. Mix together the cream cheese, icing sugar, peanut butter and milk. In a separate bowl whisk the cream until softpeaks form. Tip the peanut butter mixture into the bowl and fold together. Pour it into the pastry case and leave it to set for about 5 hours in the fridge. A reasonably successful bake after the disastrous start. Not too fond on the flavours, and it’s incredibly rich but it gives me a basis to tweak the recipe so it’s more to my liking!